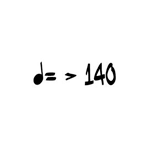 A selection of Up-Tempo Big Band Vocal charts which are performed above 140 beats per minute. These are arrangements of or transcriptions from classic singers of the big band era, such as Frank Sinatra, Ella Fitzgerald, Peggy Lee, Helen O'Connell, the Andrews Sisters, Rosemary Clooney etc., plus a selection of original pop and rock charts too. Unless otherwise stated, each Big Band chart is arranged for standard line-up of 5 Saxes, (with instrument doubles indicated), 4 Trumpets, 4 Trombones, 4 Rhythm (Piano, Bass, Guitar, Drums), plus a vocal sheet. Our charts come with all 18 parts and a full score, and everything is clearly printed and easy for your players to read. The arrangements have free downloadable samples, so you can see and hear something of each chart. These samples are generally the first few pages of the score, plus an mp3. All of our charts are priced in UK£ Sterling. If you are purchasing from outside the UK please feel free to use our currency converter. All of these charts are supplied by air mail or courier, and come as printed copies.